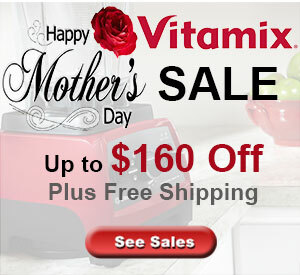 A new Vitamix for the lowest price ever offered. The Vitamix Explorian Series featuring the E310 and E320 is the latest release from Vitamix. Designed to bring epic Vitamix performance for the most affordable price yet. The Explorian is a feature simple model with solid performance. HOW DOES IT COMPARE? Vitamix makes powerful blenders and the Explorian Series is no exception. It essentially replaces the 5300 and most closely resembles the current Classic Series 5200. With 13 amps, the motor peaks at 2.0 horsepower, sufficient for blending most anything. Making super smooth smoothies is easy as well as nut butters, hot soup, frozen desserts, hummus, and much more. The variable speed control along with the pulse feature provides complete control over your blending experience. Vitamix continues their stellar warranty offering including a 5-year full use warranty. The warranty covers all parts, service, labor and shipping both ways at no cost! It just doesn’t get any better than that. If five years isn’t enough you can purchase an additional 3 years at the time of purchase. 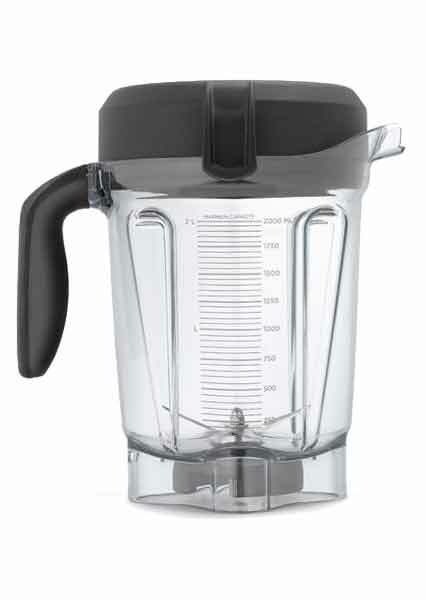 The Vitamix E310 comes with the classic 48-ounce container. Personally, we love this container! If you could only have one container with your Classic Vitamix then this would be the one. A great volume, very accessible for removing your blends and extremely efficient. But not to worry, if you want or need additional containers, the Explorian Series blenders are compatible with any of the Classic blending containers. The E320 comes with the compact 64oz container. This is the larger volume shorter container with the 4-inch blade that replaced the taller 64oz container from the 5200. It is most efficient for larger volume blends and chopping tasks. The one challenge of this container is to do small volume blends. It is common to also purchase a 48-oz or 32-oz container for smaller blending tasks. 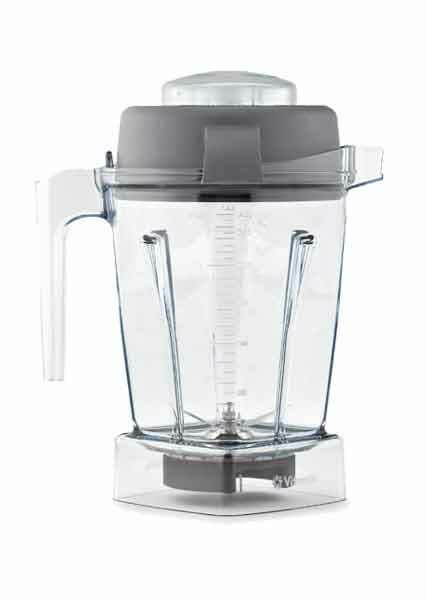 The Vitamix E310 is most comparable to the Classic C-Series blenders such as the 5200. These two models have essentially the same motor and features. There are some upgrades in design to closer resemble newer models and a slight difference in controls. Both have an on/off switch and variable-speed dial. The main difference is that the E310 has a dedicated pulse switch where the 5200 does not. Instead of the pulse switch, the 5200 series has a high/variable switch. 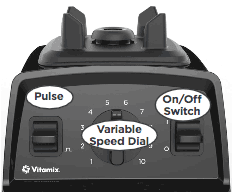 When on high, the Vitamix 5200 blends at maximum speed, when on variable the speed knob controls the speed. Therefore there is a slight difference in the variable-speed control. The E310 has complete speed range where the 5200 requires the High switch to reach maximum blending speed. The other difference in purchasing these two models is the warranty. The E310 comes standard with 5-years while the 5200 with 7-years. The Vitamix 5300 was a hybrid C-Series blender primarily made for Costco. The E320 replaces the 5300. They both have the pulse switch and the complete range variable-speed control. The 5300 also has a separate power switch and the on/off switch is a start/stop switch. Additionally, the 5300 comes standard with the compact 64-oz blending container like the E320. As with the other Classic models a difference in purchasing these two models is the warranty. The 5300 comes standard with a 7-years warranty compare to the 3 years of the E310. The Classic G-Series blenders, including the Vitamix 7500, comes with additional sound dampening technology that the Explorian Series blenders do not have. This means that the 7500 is quieter than the E310 and E320. For some customers this difference in sound level is well worth the additional cost. The 7500 also was the model that introduced the compact 64-ounce container. Its controls are the same as the 5300 above with a separate pulse switch and power switch. As with the previous models compared above, the 7500 comes with a 7-year warranty at no additional cost. Early 2017 Vitamix launched one of their most exciting new blender series in history – the Ascent Series. These new models not only came with an impressive modern redesign, they also introduced advanced technology not yet seen in Vitamix blenders, like digital display and wireless communication. The low-end blender of the Ascent Series, the A2300, is the model most closely comparable to the Explorian models. It doesn’t come with the bells and whistles found on the other models which come with a much higher price tag. Controls of the Ascent Series A2300 are essentially the same as the E310/E320 with the difference of a separate power button. The A2300 also includes a digital timer display that counts up while it continues to blend; the Explorian Series has no digital display. In addition to improved design, a major difference between the E310/E320 and A2300 is that, like all Ascent Series models, the A2300 comes with “smart” Self-Detect technology which requires new containers made only for that series. This Acsent series came with the new 10-year warranty. In addition to the E310, the Explorian Series has a second model, the Vitamix E320. This is essentially the same blender made for Costco and also available on Amazon. The differences between the E310 vs E320 is the container and warranty. For a higher price, the E320 comes with a low-profile 64-oz container and a 7-year warranty. Newly released is the Reconditioned Explorian E320. Save more on an Explorian Series E320 Reconditioned. You can have it all, the best price and the 64-ounce container. 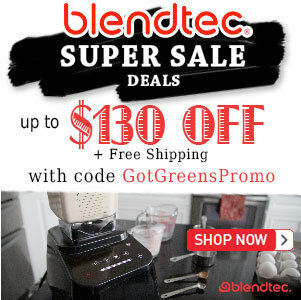 Great savings for an excellent Vitamix blender. More about » Reconditioned blenders. 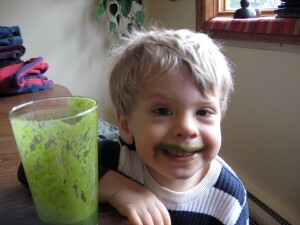 The Explorian Series is a great choice for anyone considering a Vitamix for the first time. It is a solid performing powerhouse at the most affordable price of any Vitamix. If you are not wanting or needing the bells and whistles of the Ascent Series then you can’t go wrong. If the container size is a concern, have no fear, all classic container are compatible so you can use any previous container you may have or pick up one in a different size. Looking for a reconditioned E310 – can I get a Reconditioned Explorian with the 48 ounce container? At this time the Reconditioned Explorian is only available with the 64-oz container (E320 package). It is our understanding this is because the 64-oz container is much more popular. The 48-oz container can be purchased separately and you therefore could have the Reconditioned Explorian with the 64-oz and the 48-oz. Trying to decide between the E310 vs E320. The E320 is a little more but has the bigger container. Will I be disappointed with the smaller container? Thanks in advance. Cheryl, the E310 and E320 are the identical blender with different blending containers. If you don’t see yourself making 1/2 gallon of smoothie or soup at a time then the 48oz container is plenty. I hope that helps! Thank you Got Green! It’s just me and my husband, I don’t think we could drink a half-gallon of anything. Going with the E310. I decided upon the 310, whose delivery I’m awaiting, because many reviews on Amazon, etc. said that the new wider 64oz container is too large if you’re making something for one or two people – like a small 3/4 cup portion of nut butter. It simply won’t work. When I spoke to Vitamix, they confirmed this. Thanks for mentioning the sound baffling on the G series – the loudness of the 310 was frequently commented upon in user reviews. This concerns me because I have tinnitus, which it could worsen. I hope that if I can use alower speed for my morning smoothie I’ll be fine. While I appreciate the lower price of the E310, especially on sale, I probably would have bought one with sound baffling if one came with a 48 oz container. Congratulations on your decision – and thank you for your feedback A! Yes, as we mention in our review of the wide 64 oz container, it is not as efficient as other containers for smaller volumes (the 48oz is our favorite all-around container to use). If you can, please come back and let us know how you like your Vitamix after you receive it. I hope your E310 provides you with many years of healthy blending. Hi, I never owned a “name-branded” blender…and now I come down with vitamix (over Blendtec). However, I am having a hard time to decide between E310 and 5300 refurbed. They are the same price pretty much. But I like the red on 5300:) But then I like the 48oz on E310! Please help me to choose! We use this mostly for smoothie for my kids, being used daily. And are both as loud? Any feedback would be great, thanks! Congratulations on your decision to buy a Vitamix. First off, you can’t make a wrong decision between the 2 models you are considering – the E310 and 5300 are pretty much the identical blender and you have identified the “real” difference being the container size that comes with them. Since you are considering the reconditioned 5300 they have the same warranty and as you said, pretty much the same price. There is no discernible difference in how loud they are. The main consideration is to think about how much volume will you be blending at one time. If you are making smoothies for your kids and together they don’t drink more than 40oz then the 48oz could be the perfect size. On the other hand if you have several big appetite kids who together would drink more (like 4 kids each drinking 16oz) then the larger container would definitely be better. Do keep in mind that you can purchase a second container in the future for either of the 5300 or E310. For our family of 3 we use the 64oz when making smoothies of all 3 of us or the 48 ounce when making it for only 2 of us. You mention you really like the red, sometimes color can be the deciding factor when deciding between 2 very similar blenders. While there is the option to purchase other containers, you don’t have the option to change the color of your blender. I hope that helps – let us know if we can be of further service! I bought both an E310 from QVC and an E320 from Costco. The E320 was a much better value. I paid $299.99 for E320 and $346.09 for E310. QVC’s deal seemed better because it included dry grains cup (32oz), yet after I realized that the “wet cup”could handle the same tasks and that most of the recipes require the use of the wet cup; well, it was a no brainer. The E320 can perform the same tasks and obviously has greater capacity at 64 oz. Also, I noticed the E320 has a much quieter motor, the cup stayed on the base much more securely, and the handle is much nicer. The only negative: there are only two color choices—black or red. QVC’s E310 had beautiful color choices;nevertheless, we’re sending the E310 back to QVC today. Thank you for your feedback Ivelisse! We greatly appreciate it. May your Explorian provide many years of healthy blending! Can I get a reconditioned e310? bernie baby, the Explorian Series is a little too new to have Reconditioned blenders available. I’m sure they will be available later next year, we will let you know when they become available.